Elements Applied: Rhizome, flowers, and fruits are commonly applied in herbal medicine. History: Birthwort has a long history of medical applications since it was used as a remedy for poisonous snake bites in Egypt. It was also applied for stimulating womb activity in course of child delivery. Used for: The remedy is known to produce a stimulative effect on the womb, causing contractions, induces menstruation, decreases fevers, and boosts perspiration. The fruit is applied for coughs, inflammations, bacterial and fungal infections. 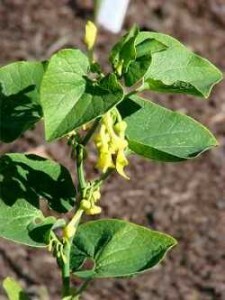 The plant is generally applied for stomach aches, and menses irregularities. As a topical remedy the plant is applied for leg sores and wounds. In China the remedy is conventionally applied to reduce lung fever and inflammations, and evacuate excessive mucus. This helps prevent serious coughs. The plant is also applied orally to treat hemorrhoids accompanied with bleeding. Additional Info: Birthwort can be picked up anywhere on fences, field edges, thickets, and so on. The rhizome is thin; it produces a straight stem which reaches 2 feet high on average. Leaves have green color. The plant blossoms at the end of spring or at the beginning of summer. Preparation and Intake: When the herb blossoms, each its part can be successfully applied, otherwise only rhizome is applicable. For a decoction take 2 tablespoons of fresh rhizome or plant and pour a glass of water on it. The mixture is boiled up for 10 minutes and filtered. The dose is prescribed by a health-care provider. For cold extract take 2 tablespoons of rhizome or plant and pour a glass of cold water on it. Infuse for 7 hours on average. The dose is prescribed by a health-care provider. The daily quantity of fruit taken is 5 grams on average. Safety: Warning! Birthwort includes an agent identical to alkaloid colchicine in its poisonous activity. Due to this reason the plant is only used after a consultation with your health-care provider. Aristolochia is not recommended to apply if spleen disorder, or diarrhea, or cold with coughing takes place.